There was a time there when I thought the Shrek movies were just the most innovative movies around. I thought that until they did about two sequels too many, in fact. The movies are sort of geared at children, but they are highly amusing for us grown-up types, plus they’re charming and they offer positive messages. What more can you ask for from a movie these days? There are a lot of lessons one can learn from Shrek, and a lot of the lessons are big, over-arching life lessons like “Don’t judge people.” But there’s one particular lesson I’m thinking about that relates particularly well to Social Media. Are you ready? In the second Shrek movie (if you haven’t seen it), Shrek the Ogre and his little talking donkey friend take a magical formula and become, in a word, stud-muffins. 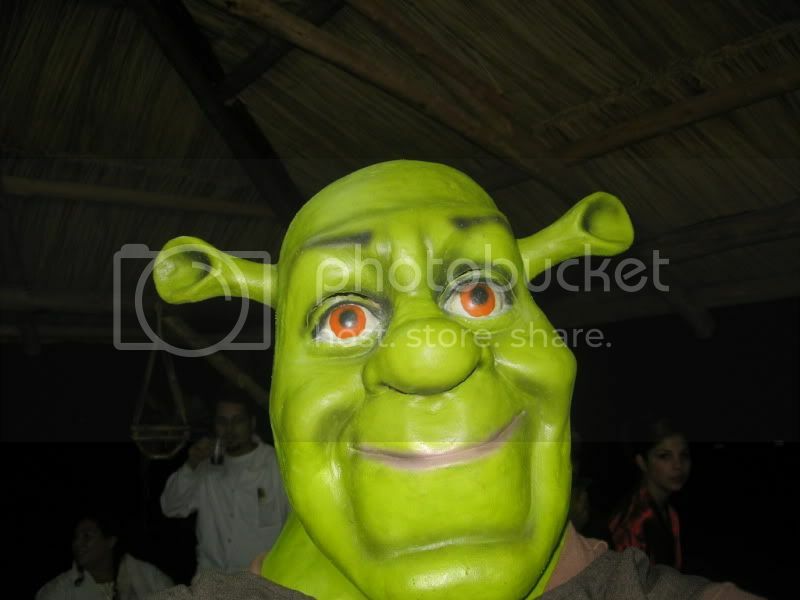 Donkey becomes a gorgeous white stallion and Shrek gains a “cute button nose and a tight, round buttocks.” Shrek’s wife, Fiona, who is also an ogre most of the time, is also affected, and goes back to being a beautiful, red-headed princess. At the end of the movie, Fiona can decide if she and Shrek will stay in their human forms forever or whether they will go back to their ogre selves. Donky is not part of the conversation, but he is ultimately deeply affected by what the loving couple decide. When you engage with people in the online world, you are often in the same position as Donkey. If you really come out and support a person, you are staking your credibility on how they will act. If they decide to do a total goofball thing, your credibility, along with theirs, will be affected. If they get into really hot water because they do something wrong, you are also going to receive raised eyebrows because, after all, you suggested to a ton of people that this person is a great find, a great blogger, a great…whatever. Of course, there’s another side to this coin. For everyone with whom you engage, you’re in the position of Shrek, and everything you do can impact how the members of your community will be received elsewhere in the online world. At its heart, Social Media engagement is about taking a leap of faith. It’s saying, “I hope, if given the choice, you’ll let me stay a stallion instead of making me turn into a donkey.” In a big way, your online fate is in my hands, and mine is in yours. Does that, or should that, influence how you act? How you speak? What do you think? This is post #92 in the Engagement Series. If you are worried about missing posts, please feel free to hit the subscribe button. Thank you! WOW! Very insightful. Personally, I think they should have stopped at the first movie. Now I’m going to have to watch the second movie and watch for this. I’ve been honestly thinking about this a lot lately. Most of the time I feel like donkey, just retweeting, liking and sharing Shrek’s post. Sometimes I even make those punny comments that hopefully doesn’t annoy Shrek. But you know how donkeys are, as Shrek says, they can’t help but comment. I actually comment more than I probably should specially with people I identify as the Shreks of my online life. But hey, every donkey needs a Shrek right? I didn’t see Shrek 1 or 2, but your description of the transformation of Shrek, the Donkey and Fiona reminds me of “The Man of La Mancha.” I am sure you know the plot and how Cervantes takes on the persona of Don Quixote de La Mancha, and sets out to find adventures with his “squire”, Sancho Panza. Of course, Aldonza becomes Dulcinea in the eyes of Don Quixote. The musical score and songs are powerful and memorable, but one song that I think applies here to your question of where our on-line fates will take us and how we will support one another is “I Really Like Him”. Here are the lyrics. I like him, I really like him. Tear out my fingernails one by one, I like him! That’s because you’re not a squire. All right, I’m not a squire. How does a squire squire? Well, I ride behind him… and he fights. But, what do you get out of it? You’ve got nothing! Why do you do it? You can barbecue my nose. Make me freeze, make me fry. Make me sigh, make me cry. Though I can’t tell you why. And the truth of the matter is sometimes we do just like someone and we will defend them to the death. And that is ok, because at least we are standing for something. Hopefully the members of your community are mature enough to know that everyone can look a little, as Sancho says, “cuckoo-nuts” every once in a while. And if we choose to we can glean something from each relationship. And that is what makes life interesting. A pleasant comment to a very good post. No islands in the stream are there? But you take the risks when you get up to dance. Isn’t this how it is with all relationships online and off, eh? I just had this happen to me with a #FF I did (not you). I’ve had a really good experience with this person, but after I did a post on him, six different people asked me if I’ve met this person IRL and, when I said no, they all told me to be more careful. I’ve been doing the series for nearly two years so I guess one out of more than 100 isn’t so bad, but it’s definitely something to consider. got burned in circles day one on Google+. Followed a person who looked O.K. Then I got a stream of rubbish videos from his showing fighting, nutty actions and stupid comments. Got rid of him fast as I could. Now I am a lot more careful.